Maybe it's time that you got more adventurous in the bedroom? Now, more than ever, choice and originality are high on the agenda when it comes to choosing your luxury bedroom furniture. 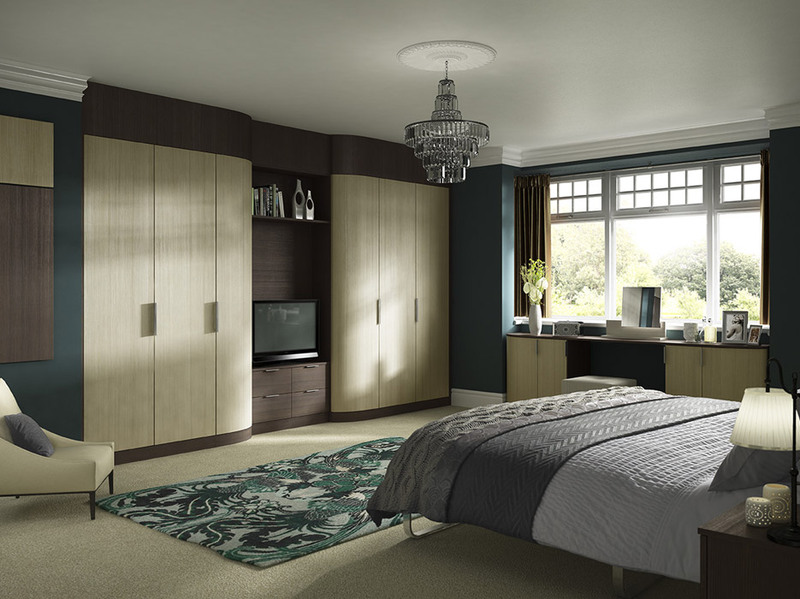 At Cornwall Bedrooms, we offer everything from vibrant modern design to softer, more traditional finishes. Across our ranges we have hundreds of colours and textures to create your dream bedroom. Our Milan range is an exquisite display of European elegance, while the Harewood and Prima Curved ranges offer a traditional, soft ambience. Designing your bedroom can be a long and tedious process, but we pride ourselves in our straightforward, customer friendly approach that emphasises creative choices as well as practical problem solving. More importantly, designing your bedroom is a personal process. It’s all about getting you the bedroom you want. 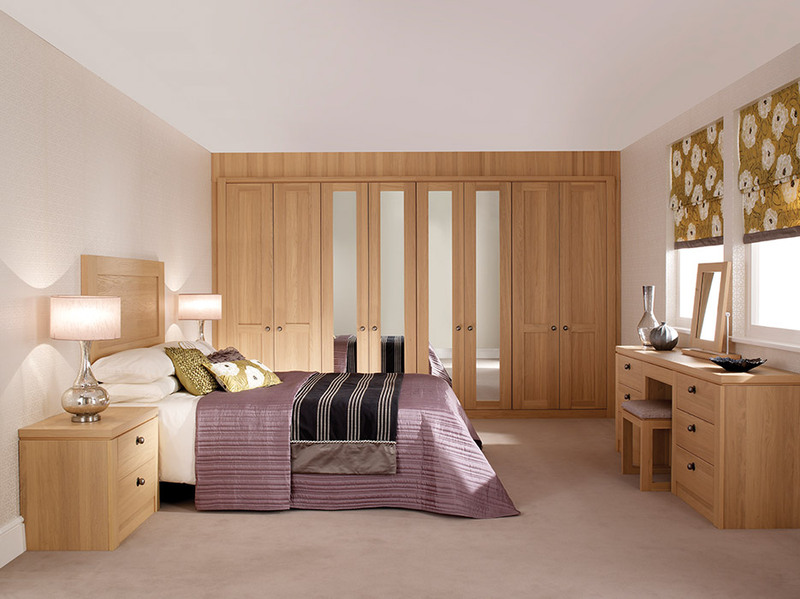 Brighten up your room with mirror-panelled doors, add an atmospheric feel with a deep, rich colour scheme, or add that elegant feel of smooth, curved handles; at Cornwall Bedrooms we help you add the personal touches. 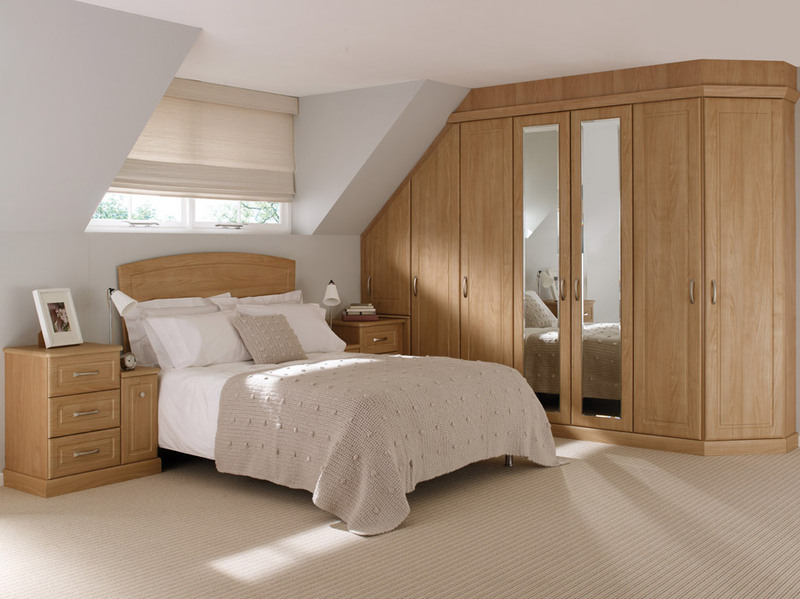 Besides their visual appeal, our fitted bedroom wardrobes are spacious and efficient storage solutions. Awkward corners? Slanting ceiling? No problem. We’re happy to offer a free design visit to plan out your space as effectively as possible and provide you with a quote in addition to helpful advice. We take immense pride in our work, and are thrilled to offer you a 10 year guarantee on everything you buy, to make sure that you get as much joy out of your furniture from using it, as we did making it. Charlotte Elegance and sophistication in its most obvious form. The smooth white epitomises calm and tranquillity, while the exclusive Swarovski crystal handles ooze sophistication. 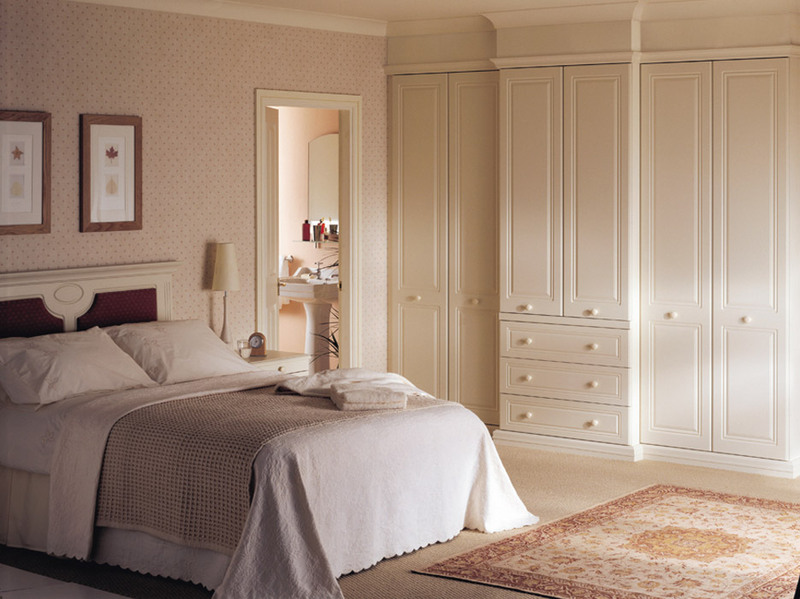 Freestanding furniture allows you to mould the room into almost any shape imaginable, and the fitted wardrobes are available in plain, lace-pattern or mirrored, allowing for a variety of possible looks. 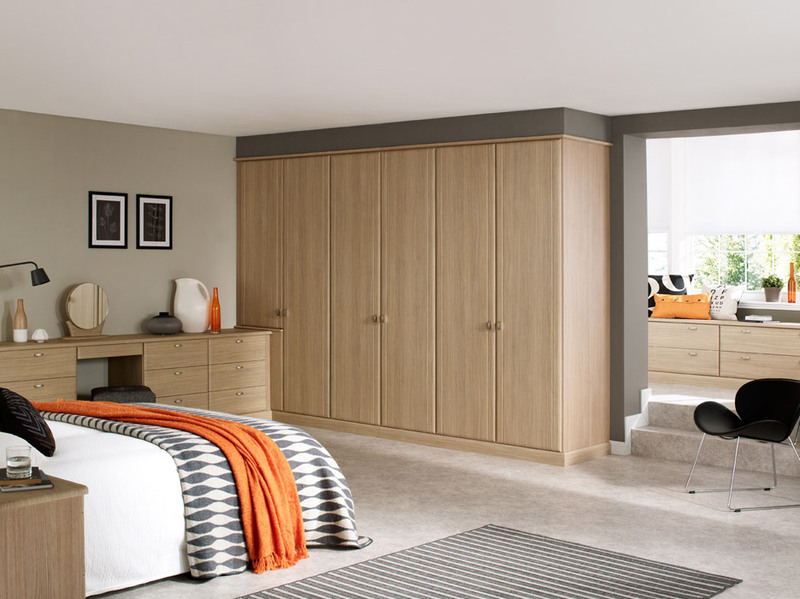 Kingsbury Our most minimalistic range, Kingsbury offers elegance and subtlety to suit any room. Discover how spacious your room can become with this understated classic, also with the option of plain or glassed wardrobe doors. Available in three colours, white offers a clean and contemporary chic, while oak and gardenia embody warm textures for a timeless and welcoming style. Milan Such a range could only be Italian; an effortlessly stylish design available in four different colours, each with its own nuance. Undoubtedly European, Milan is uncluttered and simplistic, allowing you to simply see its beauty. Classic wood doors create a smooth finish, or choose either opaque glass or mirrored doors for an even more contemporary and eye-catching look. Milton A neat and timeless look, Milton features a soft colour scheme that can instantly define the mood of any room. The woodgrain wardrobe doors add a traditional feel, and are available in 5 different colour options, from a subtle yet clean white, which creates a lovely open and spacious feel, to a contemporary praline, for an enticing and warm atmosphere. Prima Curved The beautiful carving in Prima Curved exudes a classic handcrafted style that will soften any room. The smooth curves create an inviting and calming mood; perfect for relaxing and soothing the mind and body. 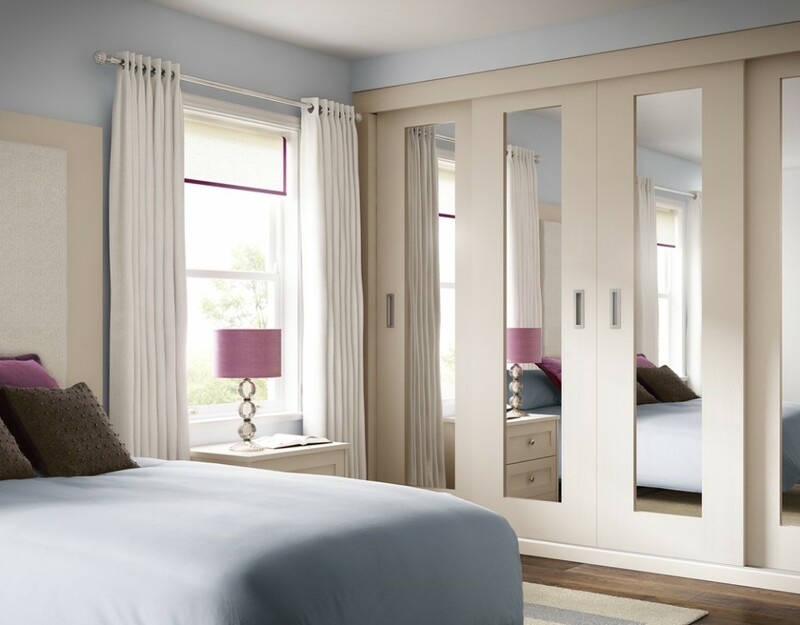 Mirrored doors are an option to brighten the room, and the neatly curved handles combine style and practicality. Don’t Like Curves? 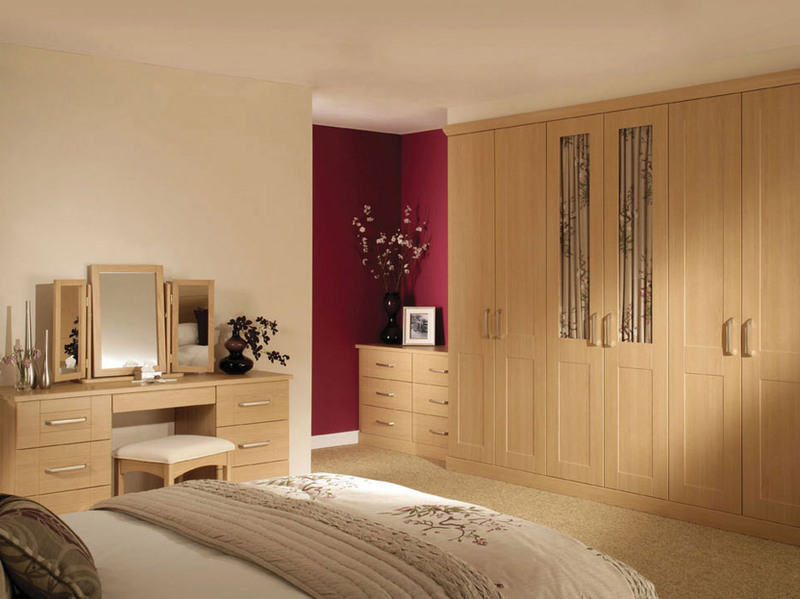 Why not consider our Prima Square range of fitted bedroom furniture. Solo Words that can be used to describe Solo. Simple, uncluttered, and timeless. It’s a clean and versatile slab door available in 6 colour options. We then complete the look with a heavy brushed steel handle. All of our robe doors can be specifically tailored to any slope. 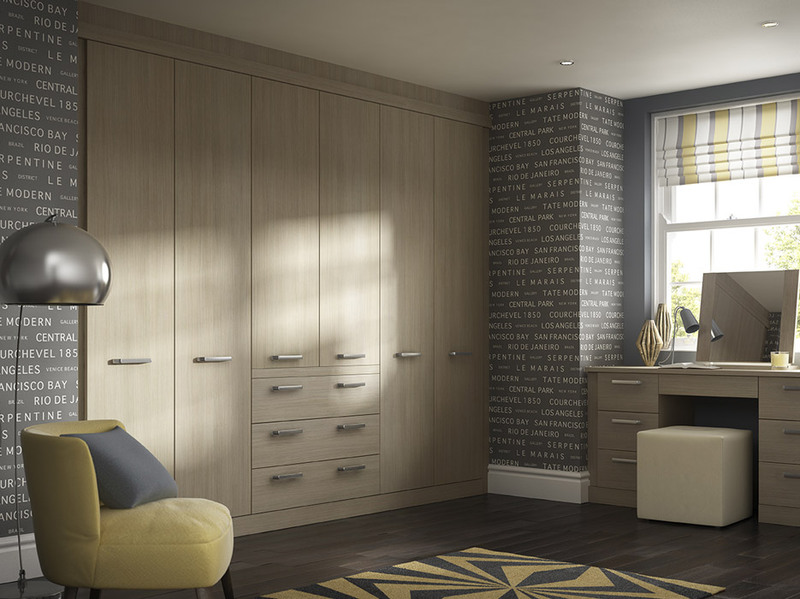 This lends a bespoke feel to the bedroom and allows for maximum storage.